Gerber Camp Axe II with Sheath | BUDK.com - Knives & Swords At The Lowest Prices! The Gerber Axes are the toughest axes on the market today. 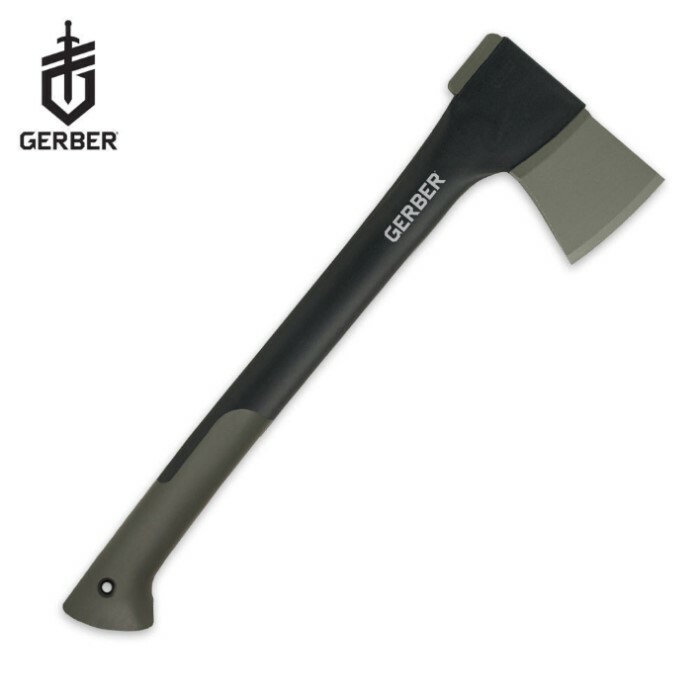 The Gerber Camp Axe has forged steel head for durability and superior edge retention combined with a unique handle made from Polymid Fiberglass that is virtually indestructIble. The handle is injection molded around the axe head to guarantee never to separate or come loose.